Customize our Halloween Haunted House Wristband Template and more! Leave a haunting impression on event attendees with this fun haunted-house-themed wristband you customize yourself. 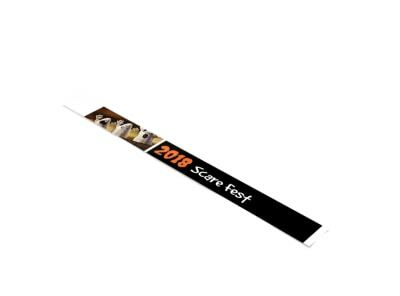 Get into the Halloween spirit by customizing you haunted house wristband with spooky colors, images, text, and more, all with the help of our user-friendly online editor. Rock your design today; just a few minutes is all it takes to get started.